I never thought my dream to work for NASA would become a reality. My parents were drug addicts/dealers and while they were intelligent people that loved me and my siblings they did not provide the resources or opportunities for us to escape the world of drugs, violence and extreme poverty. My parents always told us that we had to go to college but they weren’t equipped to provide the tools and advice regarding how to make college a reality. I knew that the lifestyle that I grew up in was not one that I wanted to remain in for the rest of my life; I just didn’t know how to change it. I remember police raids on my house, drive-by shootings, and being homeless and staying in an abandoned school bus, then being moved to a homeless shelter. I remember going to local food banks and churches for food when we ran out and the joy of getting a voucher for the thrift store to get clothes. I would often escape the reality of the circumstances I lived in by sitting outside on a large rock near my house, away from the hustle and bustle of my parents’ drug dealer house, and gaze at the stars. I’d contemplate my existence and the vastness of the universe and pray that my life would change. Through that escape time, I developed a love for astronomy, which an uncle helped cultivate by bringing me to see a meteor shower and showing me planets through his telescope. I knew at that time that if I went to college, I would study the universe and strive to work for NASA. The road to college was difficult. The high school I attended was in an economically depressed area with approximately 75% of students qualifying for free or reduced lunch, including myself. The school had about two advanced placement courses and a high drop-out rate. Counseling for college was almost non-existent at the time. Fortunately, I came across information about financial aid for college and used a school computer lab to do more research on colleges and universities as our family did not own a computer. I requested information for schools with astronomy programs and my journey began. I remember filling out the FAFSA (Free Application for Federal Student Aid) worksheet and asking my mom what our household income was, when she told me something in the range of $7,500 I said that wasn’t possible because the minimum on range of salaries given on the worksheet, at the time, was around $25,000. She showed me the welfare check and I did the math. This was the first time the magnitude of our poverty really hit me. There were several universities that I became interested in but due to application fees and other circumstances I only applied to one school, Florida Institute of Technology (Florida Tech). One of the biggest perks of this school in my mind was that it was as far from Southern California as I could get. It also had a more technical astronomy program than the others because it offered a track for astrophysics. Through the grace of God, I met all of the application deadlines and I was accepted! Of course, being accepted didn’t mean I could afford to go. My family had no money to contribute to a plane ticket to get me to Florida and nothing to contribute to the tuition of this private school. I felt so close to my dream but couldn’t quite get there. However, through a series of miraculous events my dream began to get closer and closer to becoming a reality. My mom won the money for my plane ticket at a casino, a local church donated money to help pay for food and necessities on my trip to Florida, and I ended up with a financial aid package that covered almost all of the expenses: tuition, dorm and a food plan. A relative I had never met before agreed to cover the gap in tuition and I was on my way. I arrived in Florida alone with one suitcase and eager for the new chapter in my life. I struggled with the coursework because I did not have the academic exposure that my peers had to higher level math and physics. I ended up having to take college algebra, which subsequently led to taking several courses in parallel rather than in series (calculus I and physics I, for example). It was challenging but with help from classmates and professors, I did well. In my junior year, I almost had to quit college for financial reasons. Thankfully, everything worked out and I graduated in 2002 with a B.S in Astrophysics. After graduating, starting a family and analyzing the job market, I realized that I wanted to go into a more applied field, so in 2005 I entered a master’s program for Space Systems. In 2006, I joined NASA’s Kennedy Space Center as a contractor supporting the Space Shuttle Safety and Mission Assurance (S&MA) Office out of the agency’s Johnson Space Center and in 2008 I was hired as a civil servant. I worked for several years as a system safety engineer for the Space Shuttle Program where I received many awards and recognitions, including the Silver Snoopy Award. One of the most rewarding duties of the shuttle program was working a launch. It was an amazing feeling to watch your hard work culminate in a breathtaking shuttle launch. I have also contributed system safety expertise to ground system design and operations for the Constellation Program, the Ares I-X test flight, and the Orion Multi-Purpose Crew Vehicle. Today, I am the Center Risk Manager at KSC where I am responsible for ensuring that any risks to KSC meeting its goals and objectives are identified, analyzed, communicated, controlled/mitigated and tracked. This includes any cross-cutting risks that could have impacts to NASA programs or commercial partners at KSC. Every day when I drive in to work and see the enormous Vehicle Assembly Building and the NASA logo, I pinch myself. A girl from such dire circumstances, against all odds, is a Woman@NASA. For Crystal Leathers Jones, growing up surrounded by drugs, crime and poverty made her dreams of working for NASA seem unreachable. Through her determination, hard work and perseverance, Crystal was able to change the course of her life and blaze a path of success that her siblings and others growing up in similar situations could follow. Crystal graduated from Florida Institute of Technology with a B.S. in Astrophysics and an M.S. in Space Systems and in 2006 she joined NASA’s Kennedy Space Center as a contractor supporting the Space Shuttle Safety and Mission Assurance (S&MA) Office out of the agency’s Johnson Space Center (JSC). Her responsibilities included communicating potential safety impacts and recommendations to the JSC S&MA members of space shuttle control boards about topics that KSC brought to the program boards. Some of those topics included in-flight anomalies, problem reports, hazard reports, and requirements change requests for ground support equipment and systems. In 2008, Crystal was hired as a NASA civil servant in the Space Shuttle Processing Division of KSC’s S&MA Directorate. 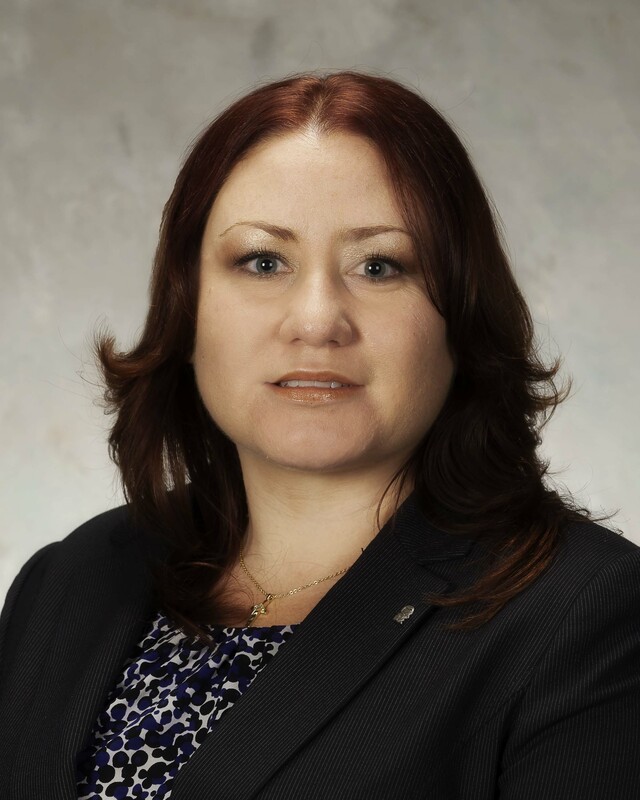 Crystal served as the system safety member of launch site problem resolution teams for vehicle instrumentation and electrical, facility electrical, and launch processing systems. In that role, she helped assess the risk of critical hardware failures and developed recommendations that the risk was acceptable or that the system required a design change or additional controls. Crystal also served as the lead for shuttle launch and landing hazard reports and certified readiness for flight based on ground hazards being controlled/mitigated/accepted. She supported several space shuttle launches providing real-time hazard and risk information to S&MA managers so that they could make an informed launch decision. Crystal also provided system safety expertise to the Ares I-X test flight, Constellation ground system designs, and the Orion Multi-Purpose Crew Vehicle production operations project. In her current capacity as the Center Risk Manager, Crystal is responsible for ensuring risks affecting KSC personnel, facilities, capabilities, and infrastructure are identified, assessed, communicated and tracked. Identifying and managing center risks help KSC senior leaders make risk-informed decisions that aid KSC in meeting its goal of enabling government and commercial access to space. In her free time, Crystal enjoys volunteering at her church and sharing her love of Science, Technology, Engineering and Math (STEM) at local schools and community events.